Home / Disease / Knowing Ulcer Disease and The Symptoms. Knowing Ulcer Disease and The Symptoms. 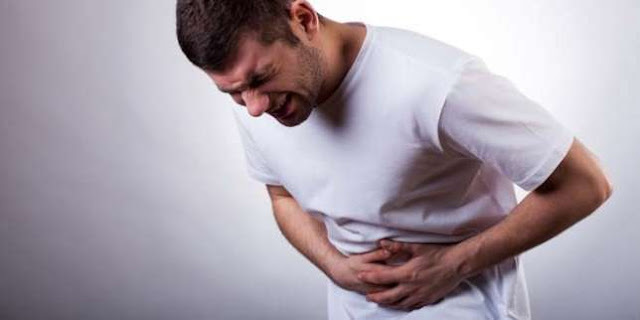 Ulcer disease is a is inflammation of the abdominal wall which can be caused by various things. The first cause of ulcer disease is an irregular diet. People who have an irregular diet are prone to this disease. When the stomach must be filled, but left empty, or delayed filling, stomach acid will digest the lining of the gastric mucosa, causing pain. The easiest way to prevent heartburn, is to maintain a regular diet. The cause of ulcer is the type of food consumed. Certain foods will stimulate the stomach wall, causing inflammation / injury, such as eating spicy or sour. Do not eat spicy or sour excessively is one way to prevent ulcer disease so that you do not experience symptoms of acute stomach ulcers that are painful. Ulcer is a disease has many drugs available. But in addition to ulcer medicine, there are also many drugs that actually cause gastritis. If you suffer from certain illnesses, you may often read warnings to take medication after eating. It is true, there are certain drugs that stimulate the stomach wall, causing a disturbance in the stomach balance. Because of that certain drugs, must be consumed after meals. Some of them are painkillers from salicylates and mifenamic acids (eg aspirin, ponstan). Rheumatic drugs are also included. If it is not taken as recommended, drugs like this can be an ulcer. How to prevent ulcers by taking drugs before eating according to the instructions of this doctor is very helpful in preventing acute ulcer symptoms. Apparently, stress and emotions can also be the cause of ulcers. Gastric acid production will increase in stressful conditions, such as excessive workload, anxiety, fear, or rush. This increased stomach acid level will cause stomach discomfort which eventually becomes an acute ulcer symptom. The way to prevent emotional stress as a cause of ulcer is to practice to calm the mind even though there is a lot of pressure in everyday life that often feels out of control. Some types of food that must be avoided. High-fat foods such as fried foods, take longer to digest. The longer it is in your stomach, the more stomach acid is produced which will eventually take up more space in your stomach. Because the stomach is filled with lots of food, your food will overflow into the esophagus. This will cause symptoms of stomach acid and stomach ulcers. Fried foods include French fries, fried chicken, donuts, and potato chips. Broccoli is a source of fiber and nutrients. If you experience symptoms of gastritis associated with gas and bloating, avoid eating broccoli. Too much fiber can cause your digestive system to produce more gas, which can trigger heartburn. If you often have problems with gastric acid disorders, coffee drinking habits should be reduced, if you can't leave them at all. Besides coffee, carbonated drinks such as soda can also stimulate stomach acid to the esophagus which causes upper abdominal pain. Chocolate is known as a trigger for symptoms of gastric acid reflux. Chocolate contains a compound called theobromine which causes the esophageal sphincter muscle to relax, which allows the acid to flow into the esophagus. You may already know that alcohol is not good for health, but we want to mention again that alcohol will worsen gastric acid reflux. Alcohol increases stomach acid in your stomach and makes your body dehydrated. If you like spicy food but you have an ulcer, we have bad news. It's time to keep the chili bottle away. Spicy food can increase acid buildup and cause stomach acid to rise. To prevent ulcer symptoms, it is better to avoid chili and spicy sauce. In addition, eat small portions of food. Large foods cause your stomach to produce more stomach acid which can accumulate and irritate your esophagus. It is recommended to eat more often with a small portion compared to eating at the same time with large portions. Although it is not classified as dangerous, ulcer disease can become severe if it is not treated properly. It is important for sufferers to know the symptoms of ulcer as early as possible so that they can take action when relapse. There are several symptoms of ulcer that are commonly experienced by sufferers. Heartburn begins with a burning and painful sensation in the middle of the stomach between the chest and navel. If the ulcer characteristics get worse, you should consult your doctor. Even though discomfort due to heartburn is not so severe, taking precautions is far better than treating. Also read, Overcome The Ulcer Without Drugs.